Alan Haber’s in-depth interviews with Klaatu’s John Woloschuk and Liverpool-based singer/songwriter Maxi Dunn are now available for downloading and listening on Pure Pop Radio: In Conversation’s PodOmatic podcast page. John Woloschuk wrote many classic and creative songs that Klaatu brought to three-dimensional life on their five studio albums. During this special program, John spoke in-depth to Alan Haber about songwriting in general and about four of his most treasured creations, in particular: “Sub-Rosa Subway,” “A Routine Day,” “All Good Things,” and “Hope.” Along the way, John offered tremendous insight into his creative process. Klaatu fans and fans of melodic pop music will delight in this one-of-a-kind chance to hear from one of the great writers and performers of melodic pop music. During a most charming interview, Maxi Dunn talked to Alan about her forthcoming album’s title song, “Operation Bubble.” The happy, poppy music is matched against some more serious lyrics for a wonderful listening experience. Maxi also spoke about her delightful duet with Vegas With Randolph, “A Lesser Fool,” which was included on the group’s 2011 album, Above the Blue. Maxi spoke about how she came to record this classic track. Additionally, you’ll hear about the first songs Maxi wrote! Pure Pop Radio: In Conversation, the premiere melodic pop interview program hosted by Alan Haber, airs Tuesday nights at 7 pm ET (4 pm PT) and repeats on Sunday afternoons at 5 pm ET (2 pm PT). 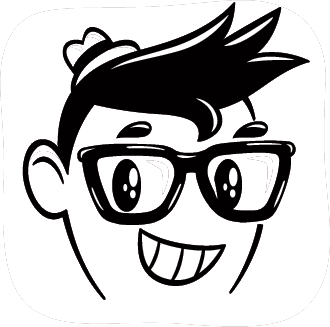 Archived, podcast versions of interviews are posted on the In Conversation PodOmatic podcast page; click here to listen to more than 60 shows previously broadcast on Pure Pop Radio. Ken Michaels kicks off tonight’s repeat edition of Every Little Thing with a spin of the Beatles’ “Two of Us.” Doris does indeed gets her oats tonight at 8 pm ET (5 pm PT) on Pure Pop radio. In the third segment of tonight’s show, Ken puts the fab spotlight on Paul McCartney and Ringo Starr: Six Beatles and solo classics are spun and, smack in the middle, Ringo talks to Ken in a special interview spot. Add a couple of songs from 1974 and some other top tunes, and you’ve got another superb installment of the greatest, fab Beatles music radio show! Don’t miss an encore presentation of Every Little Thing, airing tonight, Monday, November 30, at 8 pm ET (5 pm PT), on Pure Pop Radio. Simply click on any of the links below to listen. Enjoy! Every Little Thing is the premiere, syndicated program playing Beatles group and solo recordings. Hosted by longtime radio personality Ken Michaels, the show airs a mix of new and archived shows on Monday nights at 8 pm ET on Pure Pop Radio. Thank you for visiting these pages, and thank you for listening to Pure Pop Radio. We love you. Tonight’s all-new edition of the Beatles roundtable, Things We Said Today, finds our esteemed panel talking about drummer Andy White, who recently passed away, and the recently-released Beatles 1 and Beatles 1+ video and audio packages. The panel gets in gear at 8 pm ET (5 pm PT) tonight on Pure Pop Radio. The conversation then turns to arguably the most important Beatles-related release in many years, or should that be releases? The panel discusses nearly every conceivable point related to the Beatles 1 and Beatles 1+ packages. Casual fans, core fans and Beatles scholars alike will be fascinated by the views offered by the panel. Things We Said Today is a weekly survey of all things Beatles that’s hosted by a quartet of Beatles experts–today’s Fab Four, if you will. 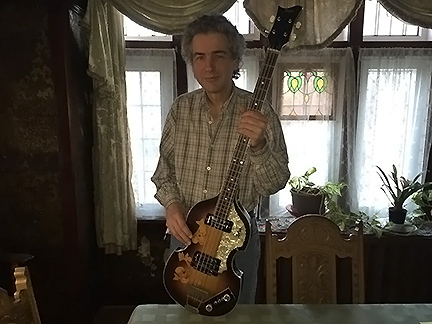 Ken Michaels, host of Every Little Thing, is joined by Beatlefan Executive Editor Al Sussman, Steve Marinucci(Beatles Examiner), and Allan Kozinn, longtime music critic. Other well-known Beatles experts sometimes sit in with the core group. Things We Said Today airs every Thursday night at 8 pm ET on Pure Pop Radio. Klaatu’s John Woloschuk talks to Alan Haber on tonight’s exclusive, all-new edition of Pure Pop Radio: In Conversation. Make a note: This very special program airs tonight, Wednesday, November 18 at a very special time: 9 pm ET (6 pm PT), after Brian Bringelson’s Needle Meets Vinyl, which will also air at a special time: 7:30 pm ET (4:30 pm PT). John Woloschuk, one of the great writers and performers of melodic pop music, is making the first of what we hope will be many appearances on the show. John wrote many classic and creative songs that Klaatu brought to three-dimensional life on their five studio albums. During this special program, he will go in-depth about songwriting in general and about four of his most treasured creations, in particular: “Sub-Rosa Subway,” “A Routine Day,” “All Good Things,” and “Hope.”Along the way, John will offer tremendous insight. Klaatu fans and fans of melodic pop music will delight in this one-of-a-kind chance to hear from one of the great writers and performers of melodic pop music. Don’t miss John Woloschuk’s in-depth talk with Alan Haber tonight at 9 pm ET (6 pm PT) on Pure Pop Radio: In Conversation. The show will repeat this Saturday, November 21 at noon ET (9 am PT); and Sunday, November 22 at 5 pm ET (2 pm PT). Get Yer Dancing Shoes On: It’s An All-Oldies (Pre-Beatles) Show on Brian Bringelson’s Needle Meets Vinyl Tonight! Brian Bringelson dips into the vast pool of pre-Beatles oldies on this week’s edition of Needle Meets Vinyl. The fun begins at a special time tonight: 7:30 pm ET (4:30 pm PT). The hits-from-yesteryear vibe kicks off with Frankie Avalon’s classic “Venus,” the Every Brothers’ “Poor Jenny,” and Jackie Wilson’s “Reet Petite.” From there, Brian spins a wide variety of hot numbers, all from vinyl–from Chuck Berry’s “Nadine” and Brenda Lee’s “Jambalaya (On the Bayou)” to Ricky Nelson’s “String Along” and the Ventures’ “Apache.” It’s a wild ride through the pre-Fab years on tonight’s outasight edition of Brian Bringelson’s Needle Meets Vinyl. Tune into Pure Pop Radio at 7:30 pm ET (4:30 pm PT). Needle Meets Vinyl is the weekly show during which all songs are played from vinyl records. The music spans the decades during which popular music has flourished. 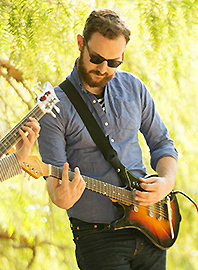 Curated and presented by Brian Bringelson, a member of the band Anchor and Bear and a solo artist under the name Paul Starling, the show airs every Wednesday night at 8 pm ET (5 pm PT). An encore performance runs on Sunday afternoons at 1 pm ET (10 am PT). Klaatu’s John Woloschuk talks to Alan Haber on this week’s exclusive, all-new edition of Pure Pop Radio: In Conversation. Make a note: This very special program airs this coming Wednesday, November 18 at a very special time: 9 pm ET (6 pm PT), after Brian Bringelson’s Needle Meets Vinyl, which will also air at a special time: 7:30 pm ET (4:30 pm PT). Last week we hinted, ever so puzzlingly, at the identity of this week’s In Conversation guest; now we can reveal that John Woloschuk, one of the great writers and performers of melodic pop music, is making the first of what we hope will be many appearances on the show. 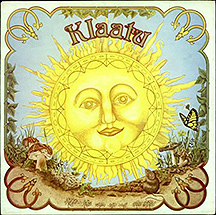 John wrote many classic and creative songs that Klaatu brought to three-dimensional life on their five studio albums. During this special program, he will go in-depth about songwriting in general and about four of his most treasured creations, in particular: “Sub-Rosa Subway,” “A Routine Day,” “All Good Things,” and “Hope.” Along the way, John will offer tremendous insight. Klaatu fans and fans of melodic pop music will delight in this one-of-a-kind chance to hear from one of the great writers and performers of melodic pop music. Don’t miss John Woloschuk’s in-depth talk with Alan Haber on this week’s very special edition of Pure Pop Radio: In Conversation. Air times are this Wednesday, November 18 at 9 pm ET (6 pm PT); Saturday, November 21 at noon ET (9 am PT); and Sunday, November 22 at 5 pm ET (2 pm PT).